Searching for local artist inspiration a little while ago, I came across the work of Jeremy Sicile-Kira. I soon discovered that Jeremy is autistic and that he is nonverbal. 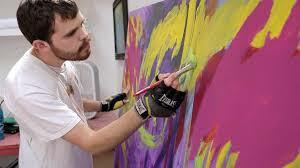 One of the ways he communicates with the world is through his painting. 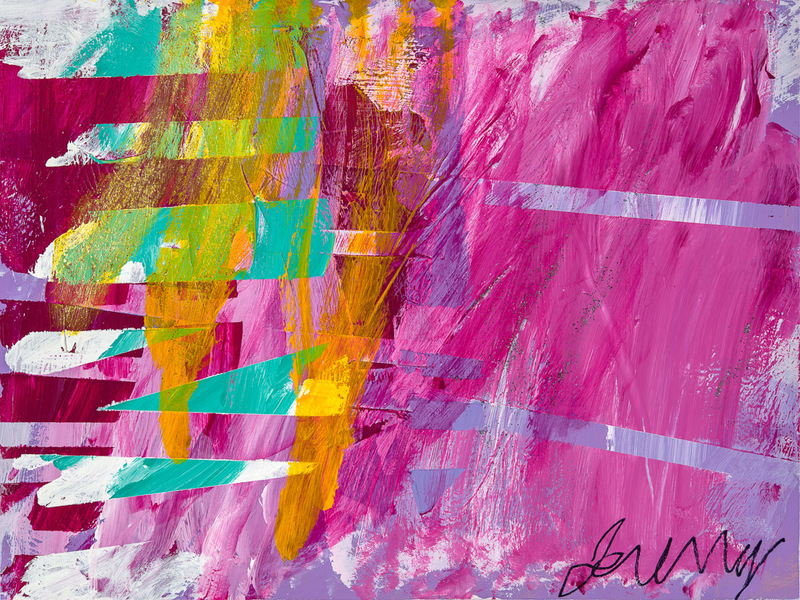 I love his bold, bright palette and his use of masking tape to create lines throughout his compositions. I have since used his work as inspiration for painting experiments with a couple groups of students. I have 2 class moderate/severe special education classes and I thought his world would lend itself so well to experiments with liquid media and color mixing. We broke the process down into 3 parts- coloring a sheet with crayon while trying to use the side of the crayon, then placing tape down and adding color with cake tempera, adding more tape and more cake tempera, and finally, more tape and liquid tempera. The cake tempera gave us transparent colors while the liquid temperas gave us more opaque colors. The first class is younger and required more hand over hand assistance with these steps. The second group is older and more independent and through the activity with less help. At the end of each experiment, students helped each other add paint to large canvases that were already taped. Again, exploring color mixing. Earlier in the year, they created the first layers of color on these by driving vehicles through primary color paint to make secondary colors. I've also introduced Jeremy's work to my first graders and when doing so, I have talked about how he is a wonder like Augie from "We're All Wonders', which the 1st grade team has read. With these experiments, students have followed the same steps, although the first layer of crayon is a bit more complex in shape and detail. With each step, we talk about creative choices- what parts of the image do they want to protect from the next layer of paint. We also go over proper care of each of the paint mediums and the paint brushes. The activities have been a blast to do with each of the groups- there has been A LOT of excitement as the tape gets peeled off at the end of the activity. These are so exciting Don - I have been watching your Instagram posts all about this and I can’t wait to try it out. I’m all geared up for some non objective fun this spring! Thanks for sharing the info about this "wonder artist” and all your students' success.